One of the latest sets of proposals comes from the London-based Energy Transitions Commission, which found reaching net-zero carbon emissions from heavy industry and heavy-duty transport sectors is technically and financially possible by 2060 and earlier in developed economies, and could cost less than 0.5% of global Gross Domestic Product. The report, “Mission Possible: Reaching net-zero carbon emissions from harder-to-abate sectors by mid-century,” outlines the possible routes to fully decarbonize trucking, shipping and aviation, along with cement, steel and plastics, which together represent 30% of energy emissions today and could increase to 60% by midcentury as other sectors lower their emissions. In heavy-duty transport, electric trucks and buses — either full battery-electric or hydrogen fuel cells — are likely to become cost-competitive by 2030, according to ETC. In shipping and aviation, liquid fuels are likely to remain the preferred option for long distances but can be made zero-carbon by using bio or synthetic fuels, ETC said. The group’s multinational leadership includes energy companies, industry disruptors, investors, equipment suppliers, nonprofit organizations, advisers and academics. “Climate change imperatives require the world to move to near-zero carbon emissions by the 2060s, or so, when many of the investments we make today would still be operational,” Ajay Mathur, co-chair of the ETC, said in a statement. “Like someone said once, the best time to plant a shade tree was 20 years ago. But if you didn’t, the best time to do it is now,” said Mike Roeth, executive director of the North American Council for Freight Efficiency. Even though this report is laid out there in longer terms, “we need to be thinking about it” now, he stressed. Improved energy efficiency, greater logistics efficiency and some level of modal shift for both freight and passenger transport could reduce the size of the transition challenge, ETC found. ETC’s report is available at www.energy-transitions.org. 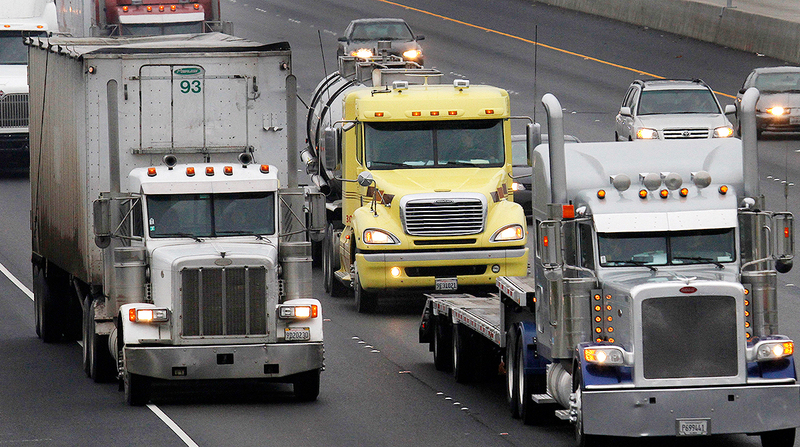 In the U.S., California is the furthest out in front on zero-emissions, said Glen Kedzie, energy and environmental affairs counsel at American Trucking Associations. Meanwhile, the U.S. Environmental Protection Agency recently announced its Cleaner Truck Initiative to toughen standards — for the first time since 2001 — on emissions of nitrogen oxide from on-highway heavy-duty trucks and engines. NOx is a key component of ground-level ozone, or smog, which is a contributor to respiratory illness. EPA estimates heavy-duty trucks will be responsible for one-third of NOx emissions from the transportation sector in 2025. Separately, some shareholders want financial institutions to reduce investments in carbon-intensive fossil fuels and related infrastructure projects. The shareholder advocacy organization As You Sow recently filed a resolution requesting Wells Fargo adopt a policy to reduce its climate change contribution by aligning its loans and investments with maintaining global temperature increases below 1.5 degrees C.